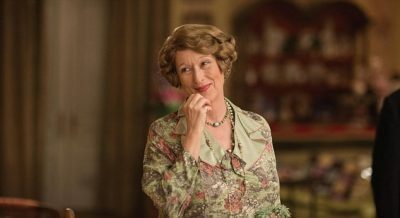 What you have to love about the very affluent, ebullient Florence Foster Jenkins (Meryl Streep) is that, despite her ineptitude at singing art songs and opera, she’s good and generous. All the bad stuff coming earlier in her life — especially her husband giving her syphilis on their wedding night and her father taking her name out of the will — doesn’t darken her soul. With her material riches … after regaining the family inheritance … Florence is shown great deference and routinely stroked and often duped for nice, fat contributions to the arts, especially music. She is a gracious, decent and totally deluded woman. A younger Florence had to make ends meet as a piano teacher; but an ear for melody somehow was not granted to her by God. In New York City in the 1940s, there was no bucket large enough to carry a tune sung by Florence Foster Jenkins. To her own mind and ear, though, she feels her warbling is nearly as fine as the then contemporary Lily Pons. Florence longs to give a voice recital at Carnegie Hall. Arturo Toscanini is one of her best pals, for heaven sakes! And her younger second husband, St. Clair Bayfield — a not made-up name and hugely played by Hugh Grant — is put to the challenge of causing it all to happen, as she is so adept at getting her way. But lest we forget, she is the one with the money. Due to Florence’s medical condition, St. Clair and his wife have always been locked in a loving and asexual marriage. (Yes, it does come in many forms.) And as you might imagine, St. Clair does have a love of another kind with a woman a bit younger than he. Her name is Kathleen (Rebecca Ferguson). St. Clair enlists the expertise of New York’s best voice coach and one of Gotham’s not hardly known at all piano accompanists. Cosmé McMoon is his name and played by The Big Bang Theory’s Simon Helberg, who is more recognizable on network and cable television as Howard Wolowitz. Oh yeah … that Howie. 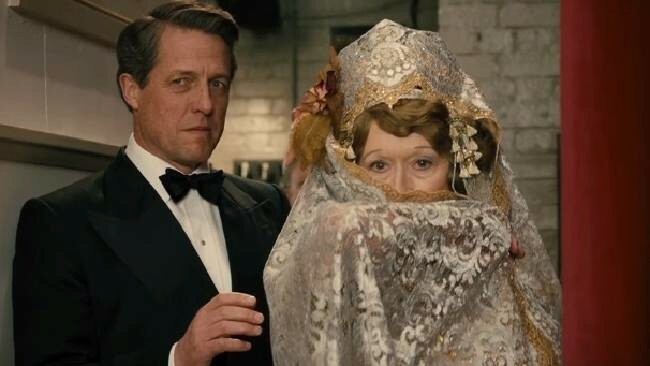 Helberg almost upstages the great Streep at times in this truly hilariously fey character of a diminutive, struggling keyboardist who, like almost all of New York’s socialites and the intelligentsia, learns to love the charming, naïve Ms. Jenkins. Stephen Frears, I really believe, couldn’t have three better actors doing the main characters. 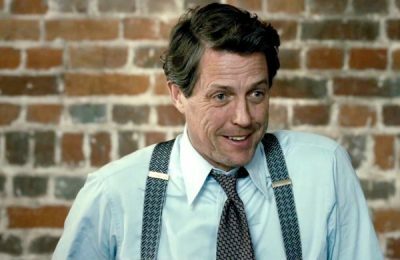 Streep is, as always, impeccable; Helberg’s a true gas doing McMoon; and Hugh Grant is damn bloody perfect. He really gets into his English-ness as Bayfield. I think it’s his best turn, and totally fell apart watching Grant flash his icy-royal smile. Frears has it all nailed down: New York during WWII and the ’41 Chevrolet taxis buzzing the streets taking me back to the green Chevy of that vintage in which my parents tooled ’round. The clothes and costumes of that decade are right on, just like you’ve found about a period only slightly later in time while absorbing Mad Men on the smaller screen. 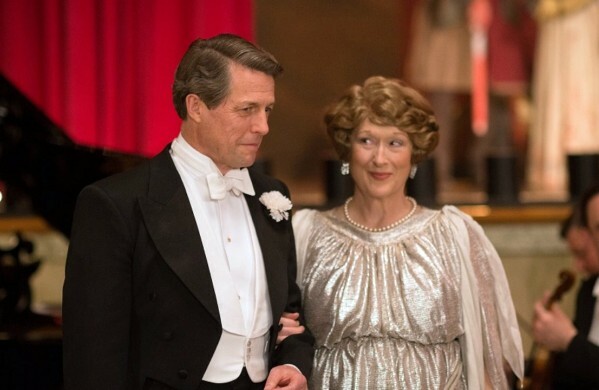 Florence Foster Jenkins was an indefatigable supporter of Americans in uniform. That aspect of Florence Foster Jenkins is what makes Frears’ film work so well reminding one how neat some of those movies were back in the Forties and Fifties, but now regaling all of us with modern film techniques we’ve come to expect in a really fine motion picture. This film is one of those.